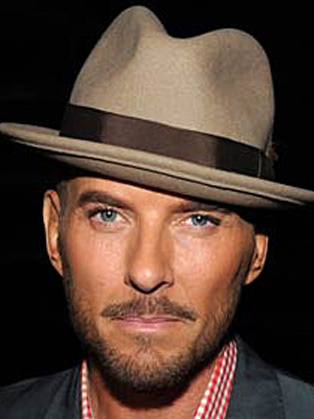 Matt Goss began his solo career in 1995, and has enjoyed chart success with singles such as "The Key". He has sold over 5 million records worldwide to date. He recorded the duet "This Pain" with his friend, Denise Pearson of Five Star in 1997, although the song never saw commercial release. In June 2009, it was announced that he would be playing live shows at the Palms Casino Resort in Las Vegas. By January 2010, the live show has moved to Caesars Palace. The creator of The Pussycat Dolls, Robin Antin, produces his live show. Matt Goss signed a record deal with Decca Records for the UK release of his most recent album Life You Imagine. Goss worked on the album with music producer Ron Fair and enlisted the services of a 40-piece Hollywood orchestra. Matt is not only renowned for his music but as an active supporter of the Las Vegas community he calls home. For his commitment to supporting first responders, he has been named an honorary member of both Las Vegas Fire and Police departments. Matt is also active on the national level as a performing Ambassador for the USO as well as for the Susan G Komen Breast Cancer Foundation, where his song, Strong, was adopted as their new national anthem. On behalf for all his work in supporting the US military, he was named an honorary captain in the US Army. Matt is best suited to opportunities with brands within the entertainment, music, fashion and men’s health sectors. Matt Goss authored two books: More Than You Know: The Autobiography, published in 2005, and reached #1 on the Best Sellers list.